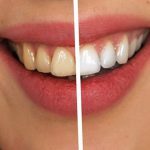 Tooth whitening is the most commonly sought-after cosmetic dental treatment; hiding or masking unsightly stains, closing gaps, re-building fractured, worn or malformed teeth, replacing unsightly black fillings and replacing missing teeth all contribute to a great smile. straightening your teeth, irrespective of your age – traditional braces or Invisalign® invisible aligners. 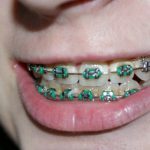 Traditional braces are the simplest way to straighten both children’s and adult teeth. Accurate assessment and careful treatment planning are essential for success as is the patient’s motivation and co-operation. The downside of ‘traintracks’ is that they are unsightly. 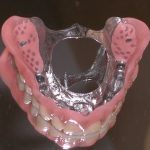 This can be overcome by employing ceramic brackets and polymer wires for less obvious braces or the completely invisible Invisalign System. Invisalign®, a patented system, utilizes CAD-CAM technology to scan a set of models of the patient’s teeth and, by means of specially-developed software, produces a series of invisible ‘aligners’ which are worn successively for two-week periods. This results in a gradual straightening of teeth over a period of several weeks until a satisfactory result is obtained, with the fundamental difference that the braces are undetectable during the treatment period. 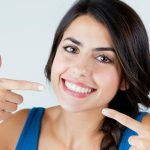 For more information on the benefits of Invisalign (with before and after pictures) please see our in-depth Invisalign Braces Treatment guide. Ellanse’® is a new range of products which can correct lines, wrinkles, enhance lips, and contour your chin and cheeks. With a series of light injections your skin is supported and flattened to give a smoother, softer look. Ellanse’ itself is made from collagen which is a natural substance already found in your skin, so all you are doing is restoring natural elements of your skin. It has been in use for over 2 decades and has an excellent safety record. It’s instant and can easily be completed within half an hour. Ellanse’ is naturally absorbed but results last for up to 12 months so once a year, your practitioner can give you a quick Ellanse’ makeover. Esthelis, Fortelis, Juvaderm and Restylane ® are alternative dermal fillers – we will be happy to receommend the right product and consistency for your facial enhancement. As our bodies age, our skin also ages and begins to show changes that may be undesirable. The fat and collagen underlying our skin begins to diminish due to the natural aging process. Therefore, our skin starts to sag and develop wrinkles. One way to correct these effects is a surgical procedure called a facelift, which is costly and is an invasive procedure that has risks. Dermal fillers are a minimally invasive procedure with little or no recovery time, which costs less than surgery and has minimal risks. Dermal fillers have become a very trendy way to address the aging process. There are many different types of dermal fillers which include collagen, hyaluronic acid, together with longer-lasting materials. Each of the dermal fillers has different strengths and weaknesses, some last longer than others, sometimes a combination of different fillers may be used for best results. Physicians can formulate a specific treatment for each individual patient. Bovine collagen was the first legally approved soft tissue augmentation in the U.S. Bovine collagen is derived from domestic cattle. Some patients may be allergic to bovine collagen therefore skin testing is required before they can be used. Bovine collagen is not used much anymore due to the availability of more novel collagens like human collagen and more recently, porcine collagen. Porcine collagen does not require skin testing and therefore may be more favored. Hyaluronic acid gives skin volume by binding to water and requires no skin testing. PMMA degrades slowly; therefore the result is longer lasting. Other dermal fillers include polyacrylamide, calcium hydroxylapatite and many new products that are constantly being researched. Another product used in skin rejuvenation is botulinum toxin. This is the product of Clostridium botulinum bacteria. The growing bacteria produce the botulinum toxin, which inhibits the release of acetylcholine and results in the paralysis of the affected muscles. Botulinum toxin has beneficial effects only on wrinkles caused by muscular contractions. It is not an appropriate treatment for wrinkles caused by solar exposure or other degenerative processes of the dermal tissues. 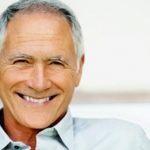 If you are unhappy about your smile for any reason, then please call now for a consultation.